Hurtigruten has announced new itineraries and destinations for 2017 including sailings to Canada, the Amazon rainforest, and the world’s largest fjord complex in Greenland. The expanded 2017 programme includes 23 new itineraries and more than 180 ports of call in 18 countries. MS Spitsbergen will spend the winter 2016/2017 season covering for MS Midnatsol on the Norwegian coastal route. From May to August 2017, she will sail nine new itineraries to Norway (including Spitsbergen), Greenland, Iceland, and Arctic Canada. There she will sail to Newfoundland and Labrador with highlights including the provincial capital of St John’s, Baffin Bay and Torngat Mountains National Park, Saint-Pierre and Miquelon, Red Bay and Battle Harbour. In addition to the new Canadian voyages, MS Spitsbergen will take guests to the Shetland Islands, the Orkney Islands and the Faroe Islands, and to ports such as Lerwick, Kirkwall and Thorshavn. 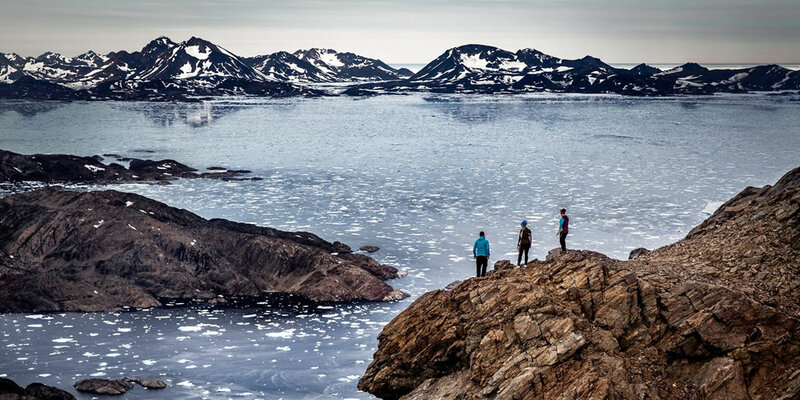 During her trips to the east coast of Greenland, she will explore Kangertittivaq or Scoresby Sund which is the longest fjord in the world, extending 217 miles (350 kilometres) into the vast island. Trips to this special fjord are combined with visits to Iceland, Jan Mayen with the northernmost volcano of the world, Beerenberg, and Lofoten. There will also be Arctic expedition sailings to the remote town of Thule on the north-western tip of the island. MS Spitsbergen will then head back to Norway to re-join the coastal route for Winter 2017/18. MS Fram will continue to offer summer sailings in the Arctic and winter sailings in Antarctica. However she will sail a range of new itineraries including Hurtigruten’s first inland sailing when she will travel along the Amazon during her 16 night ‘Expedition to the Amazon Rainforest’ voyage. She also has two new itineraries on the Pacific West Coast of South America and a new ‘Wildlife in the South Atlantic Ocean’ itinerary in October 2017 which includes a longer stay in the Falkland islands. MS Fram will transit the Panama canal on her ‘Exploring the land of the Inca’ itinerary from Valparaiso to Puerto Limon in March 2018. After her first season in Antarctica, MS Midnatsol will head back to Norway, where Summer 2017 will be spent back on the coastal route. For the second year running, she will then head south again and will be spend her winter based in Punta Arenas, running a series of voyages to Antarctica. MS Nordstjernen will be chartered again for the summer 2017 season to continue offering short voyages around Svalbard.